If you’re in the market to buy a real estate property in NYC, chances are that you’ve probably already considered the thought of 2 or 3 Family Homes in Queens. 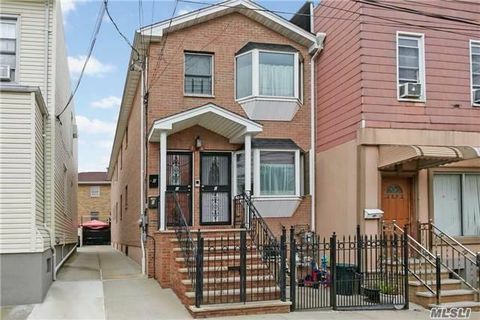 Not only are they a more affordable option (in terms of monthly pmt), but the rental income, price appreciation, and help paying down your mortgage also make this a very popular type of home ownership in Queens. Not to mention that 2 and 3 family homes in Queens are arguably the most popular property type for investors so when you go to resell, the demand will always be there. My wife and I actually bought a 2 family house here in Queens, however, it wasn’t our first choice. We ideally wanted to buy a condo or single family house, but in the neighborhoods we were looking the numbers just didn’t make sense. In the end, we decided to buy a 2 family home in Astoria and it is the best decision we could have made. We now live in a 2 bedroom apt with private parking, a garage, front porch and backyard. We rent out the other unit, and our total monthly housing expenses are much less than what we were paying in rent!